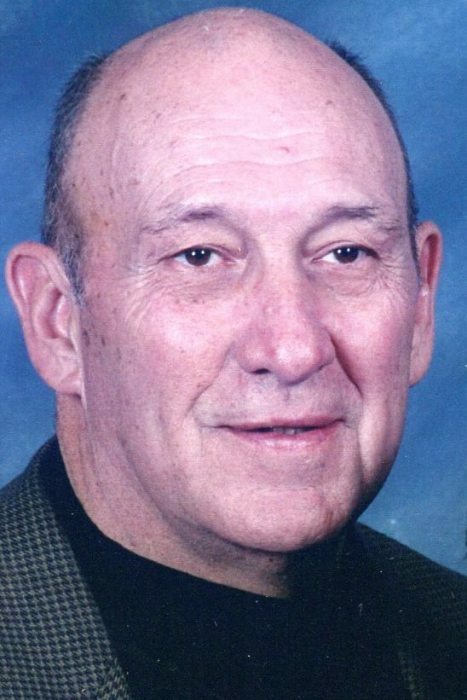 Richard S. “Bill” Hudson, age 75, of Paris, Tenn., died Wednesday, March 2, 2016, at his residence in Paris, Tenn.
Bill was a member of First Baptist Church where he was a Deacon and long time Sunday School Teacher. He retired after 30 years with the Henry Co. School system as Assistant Principal at Henry County High School. Bill was a member of Paris Masonic Lodge and Manager of the South Paris Water Co-op. He was an NFL Alum and was inducted into the Sports Hall of Fame in Henry County, Memphis State and the State of Tennessee. He was born July 30, 1940 in Memphis, TN to the late Finus Edward Hudson and the late Mildred Ruth Smith Hudson. Bill married Glenda Ross Hudson December 18, 1960 and she survives. He is also survived by his one Daughter, Mary Kate Cepparulo of Paris, Tenn; two Sons, Ross Hudson of Paris, Tenn, and John (Ginny) Hudson of Hollow Rock, Tenn; eight Grandchildren, John Ross (Brooklyn) Hudson, Jake (Bri) Hudson, Will (Cassie) Hudson, Sarah Beth (Russ) Huffstetler, Celie Hudson, Caroline Hudson, Lewis Hudson, and Hudson Cepparulo; and four Great Grandchildren, Annaliese Hudson, Henry Huffstetler, Todd Hudson, and Greyde Ross Hudson. Besides his Parents, Bill was also preceded in death by a Son, William Todd Hudson; and Brother, Franklin Eugene Hudson. Arrangements are being handled by Ridgeway Funeral Home, 201 Dunlap St., Paris, Tenn. Visitation will be at First Baptist Church from 11 am - 2 pm Saturday, March 5, 2016. The Funeral Service will be at First Baptist Church at 2:00 pm Saturday, March 5, 2016. Dr. Trent Bullock and Jim Farmer will officiate. Pallbearers will be John Ross Hudson, Jake Hudson, Will Hudson, Russ Huffstetler, Lewis Hudson, and Hudson Cepparulo. Honorary Pallbearers will be Active and Inactive Deacons of First Baptist Church. Interment will be at Memorial Cemetery in Paris, Tenn.